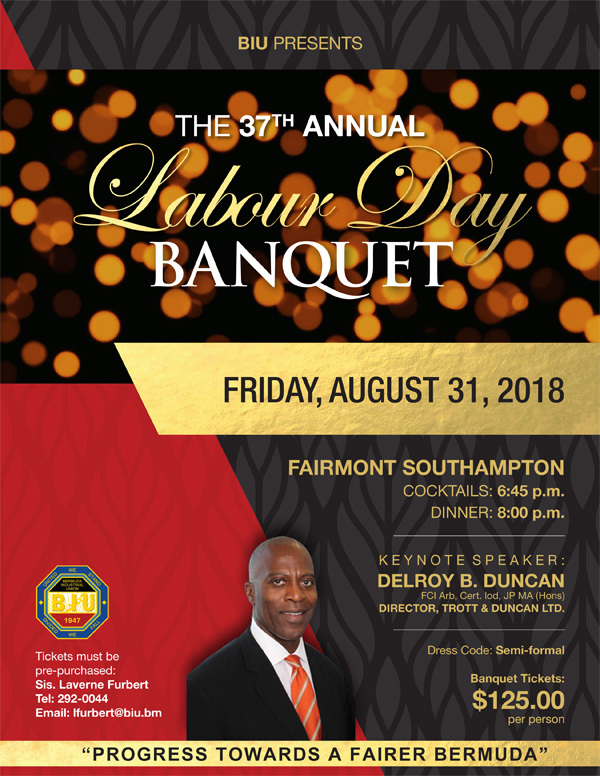 The Bermuda Industrial Union [BIU] will be hosting the 37th annual Labour Day Banquet at the Fairmont Southampton on Friday [Aug 31], with cocktails starting at 6.45pm and dinner at 8.00pm, while the Bermuda Trade Union Congress [BTUC] will be hosting the Labour Day March on Monday, September 3 at 11.00am at Union Square. Cool, this bye is going to sneak onto Shelly Bay while Lavernnne stomps around town. Just make sure you are not there on Sunday for all the FREE FOOD !! It’s a high honour and great tribute to those to be treated like royalty who have been in the trenches trying to make a way forward in labour relation. We have used Southampton Princess a number of years, how many does Devonshire Rec seat. 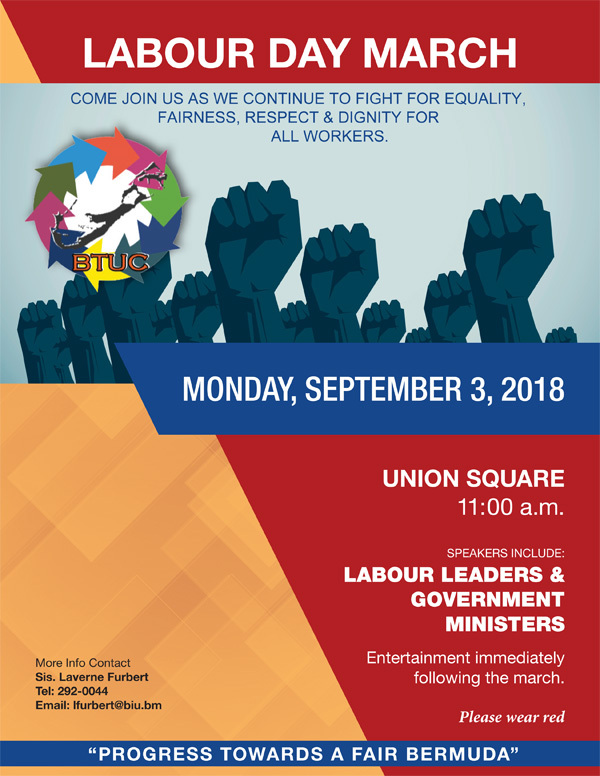 Did the ordinary worker have only the workingmen,s club to educate it’s people on labour relations, and to support each other along the way. The banquet must cost at least 5 thousand, give those funds to those in dire need.